Here at Imperfect, we’re all about creating good jobs that nourish our employees and create positive change in the world. Today, we want to celebrate three incredible individuals that have come to us from Refugee One, a local organization that supports and serves over 2,000 refugees and helps them establish a path to self-sufficiency in the Chicago area. 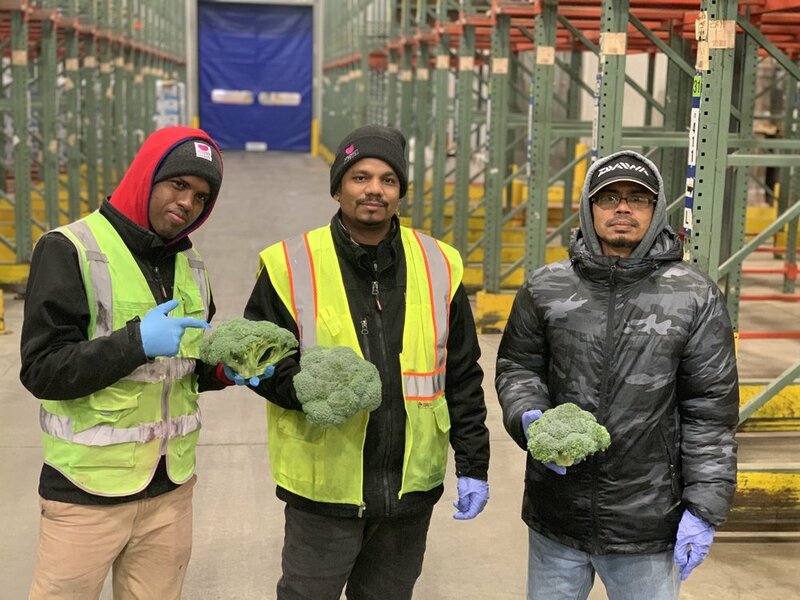 Mohamed, Zakaria, and Rafiq are three wonderful people behind the scenes of our Chicago warehouse. They work hard to make sure things run smoothly so you can get a box full of exceptional produce on time each week. Each of them generously gave us a peek into their life prior to moving to the United States. They’re a cherished part of our Imperfect family, so we hope you enjoy their stories and think of them the next time you open your Imperfect box. My name is Mohamed, and I am from Kenya, though my mom is from Somalia my dad is from Ethiopia. I moved to Chicago from Kenya in 2017 at age 19. I started working at Imperfect after being in the US for 3 months. I’m on the pack team and my favorite part of the job is when we stack the boxes and organize for the delivery team. My favorite fruit is apples and my favorite dish is vegetables cooked with rice and spices. I don’t eat at restaurants much because my mom’s cooking is the best! My name is Rafiq and I’m originally from Myanmar. Before coming to the United States, I lived in a city in Malaysia called Johur for 18 years. There, I worked as a driver delivering construction materials. I came to Chicago with my wife, two sons and one daughter on October 26th of 2017 and I started working imperfect on December 1st. I love working on the pack team and being able to switch between the prep and pack teams. My favorite food is carrots. At home, I like to cook the carrots in my Imperfect box with beef and onions. I also like to juice them. My wife makes a big batch of carrot juice once a week. My kids love it too! My name is Zakaria and I’m originally from Myanmar but have also spent time living in Malaysia. I moved to Chicago in 2016 with wife, two daughters and one son. I lived here for over a year before I came to Imperfect in December of 2017. I was there on the first day that they opened! I’ve had a lot of experience working with fruits and vegetables in my life. Before moving to Chicago, I lived in Malaysia for 12 years. When I was living there, I traded vegetables and sold tomatoes, carrots, sweet potatoes, and yams in the market. I would purchase produce in Kuala Lumpur and take them to smaller villages and sell them there. Through this work, I learned a lot about the best ways to clean vegetables and how to pick out the best ones. At Imperfect, I work on the prep team and my favorite thing to do is prepare the greens for the customers. At home, I eat a lot of vegetables, too. My wife cooks a lot of bok choy, but I eat every food. The favorite food my wife cooks is mohinga, a Burmese noodle soup with ginger, lemongrass, and catfish, traditionally eaten for breakfast.